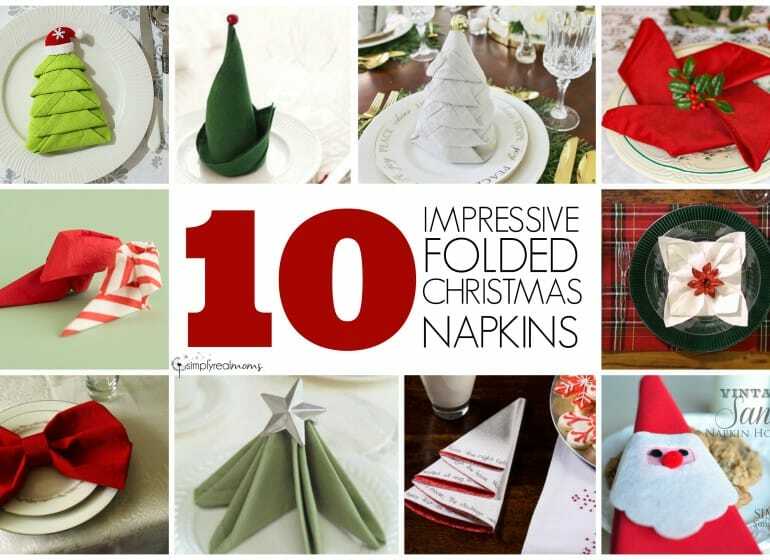 Can you believe there are only 19 days left until Christmas? Time sure flies during the holiday season which means the stores tend to be packed and holiday shopping can get overwhelming. Not sure what to get that younger child in your life this holiday season? I don’t blame you, there are so many choices out there. 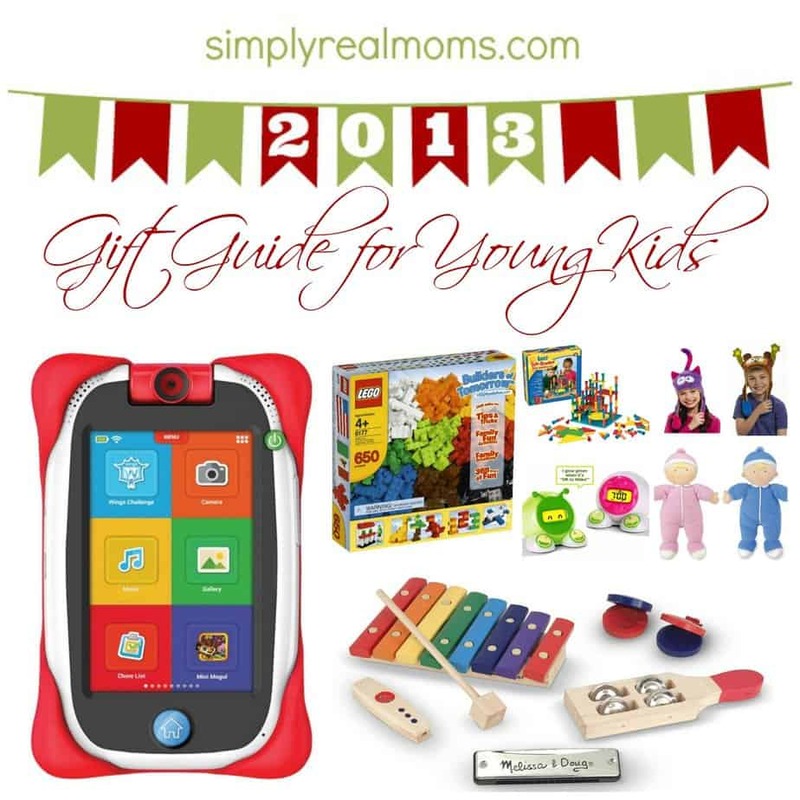 I have compiled a list of some of my favorite gift ideas for younger kids that can help you this shopping season. 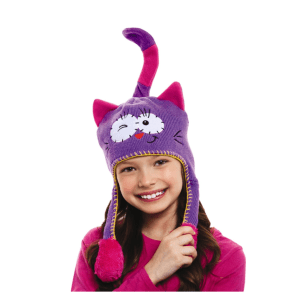 These warm animal themed hats are all the rage! 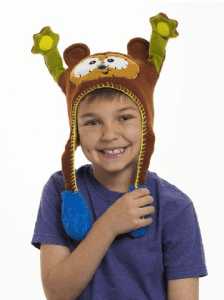 Kids are loving the fun these cute hats bring…when you squeeze the puffball tassle, their arms, ears or tails flip up! 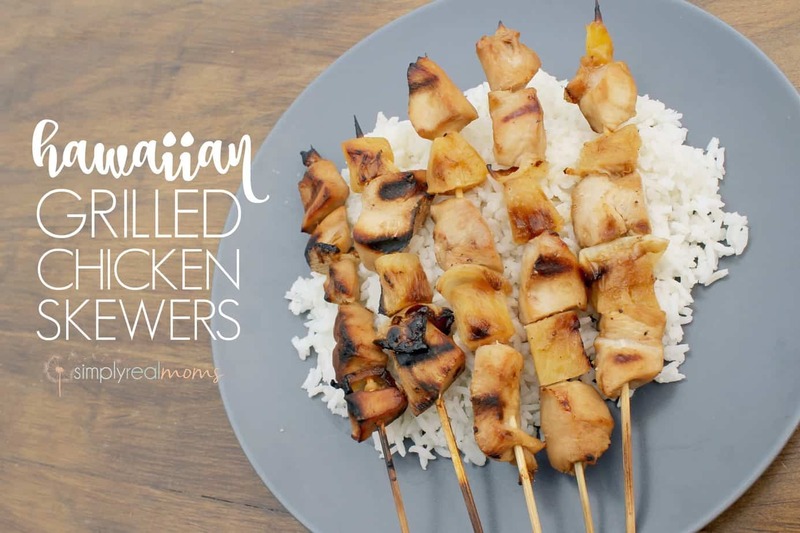 It may seem silly to us, but man are kids talking about these like crazy! My son was wearing a simple winter hat with tassles and another child asked him if it was a Flipeez hat! Already with the peer pressure at 4 years old? 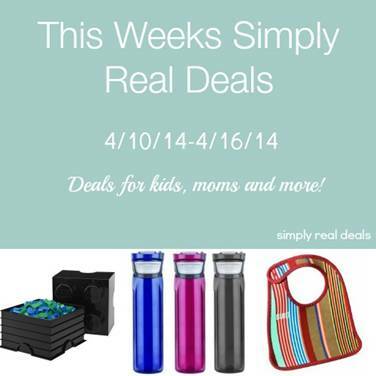 This is a fun fantastic present that’s sure to be loved! A play kitchen is the perfect present for a younger child! Kitchens aren’t just for girls-it’s the perfect toy to promote imaginitive play in your little one. The newest kitchen from Step 2 is the Lil’ Chef’s Gormet Kitchen and it’s got all the latest upgrades a budding chef could ever want! Fully equipped with essential appliances like an oven, refrigerator and microwave, it also includes a coffee pod coffee pot!! My son loves that he can make coffee just like Daddy does and that he can choose from coffee, tea or hot chocolate (his usual choice). The sink is a great place to teach hygeine in the kitchen, and the telephone is the perfect way for your child to “call Grandma” (bottom middle picture above!) for her famous cookie recipe. It comes with food, salt & pepper shakers, pots, plates, bowls, teacups and utensils as well as three pods for your coffee maker. The modern look complete with a tile backsplash and a passthrough area make it look just like mom & dad’s kitchen! Our definite choice for a toddler gift this year! Also available in Pink. Legos are the ultimate kids gift. 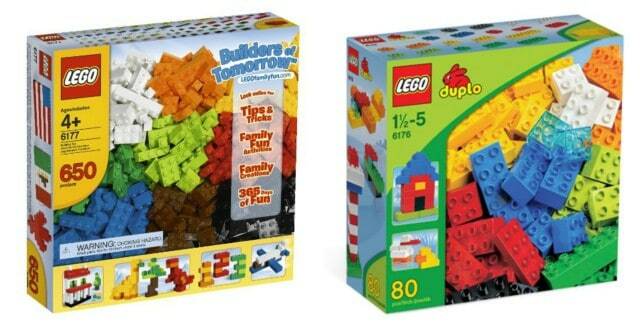 Whether you buy the traditional Legos or the younger children version-Duplos your little builder will be thrilled to build unlimited creations with these building sets! Lego now also makes Lego Friends, Lego sets geared towards young girls! 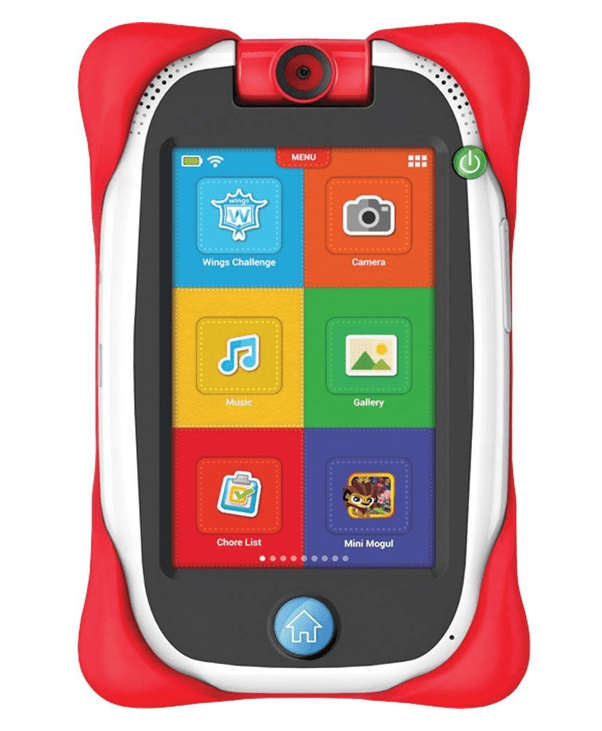 nabi Jr is the coolest tablet for kids out there!! With over 1,000 apps and games available there is really no necessity for costly cartridges like other kids tablets. It comes equipped with a 180 degree rotating camera to take pictures or video of themselves or friends and family! nabi Jr. is a revolution in learning, digital reading and creativity. We love that it comes pre-loaded with Wings Education System, covering Pre-K through 6th grade in reading, writing, math and arts, Wings was built with common core, state-standardized requirements in mind and, from the ground up, innovative and fun user interfaces and amazing graphics. Wings is the most advanced tablet education system to help give your child a head start and develop a love of learning, strong study skills and confidence. These cars are AWESOME. Like a traditional RC car, they move all on their own…the difference is that rather than a confusing remote, these cars are powered by kids shaking them. 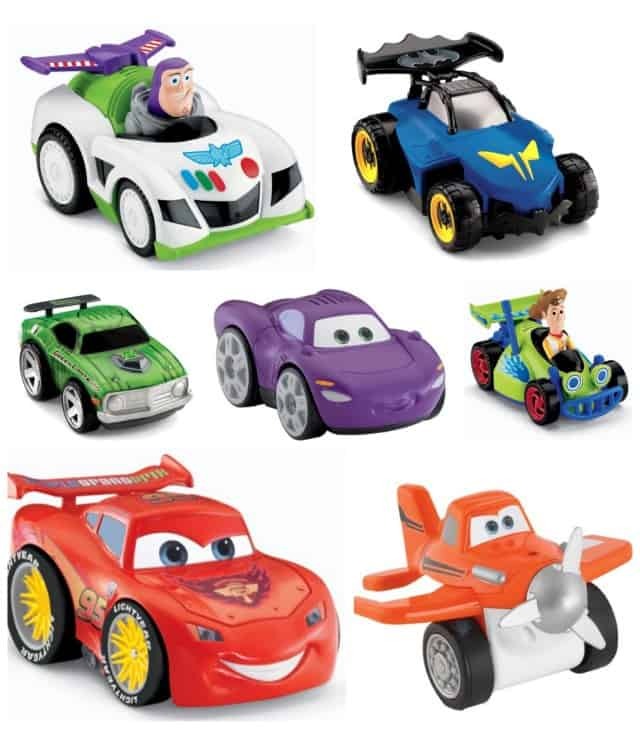 Available in your kids’ favorite Disney and DC Friends Characters, they are perfect to play with around the house, and durable to take the extreme shaking and crashing my 4 year old puts them through! We never go through a Christmas without giving our kids books. 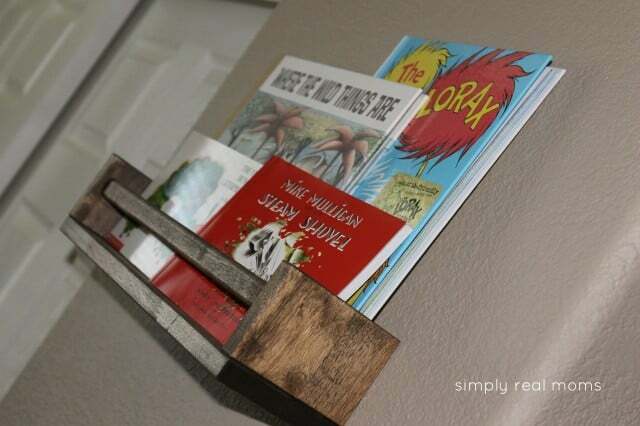 No matter the book you choose, promote reading and imagination in your kids by giving them the gifts that last-books! Whether you have a little girl or a little boy to buy for, consider a baby doll! Children love to play pretend, and being able to play “Mommy” or “Daddy” is one of their favorite passtimes. Your heart will be overflowing with warmth watching your little one care for their baby. 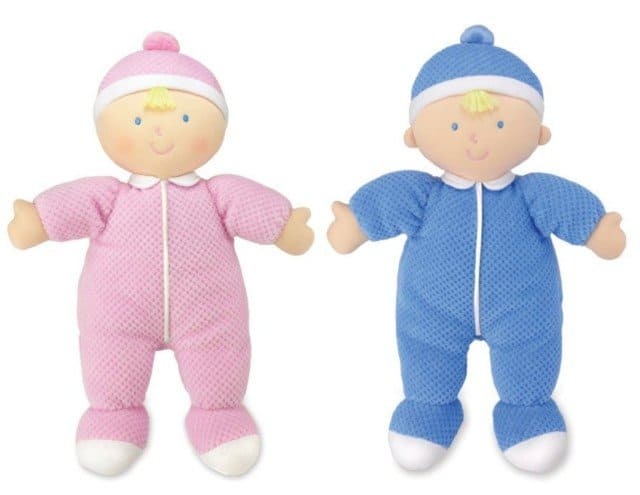 I love these baby dolls from Kids Preferred, since they are available as a little girl or boy baby doll-not something too many companies offer! Your child can choose the gender they want! 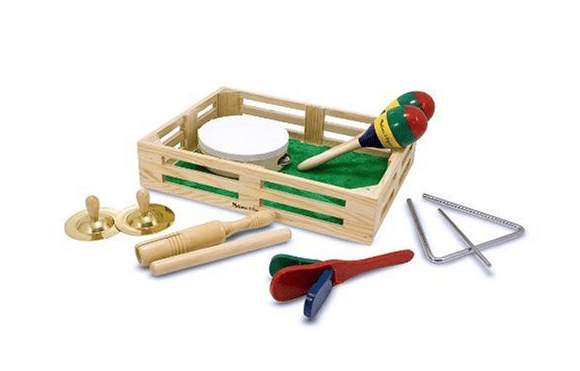 Some parents may think I’m crazy to say that these loud musical toys are a great gift, but I’m doing it. My son is inspired by music of all types, and making his own music is a great outlet for him to burn some creative energy! We hold music nights sometimes where we each choose an instrument and just play them and dance. 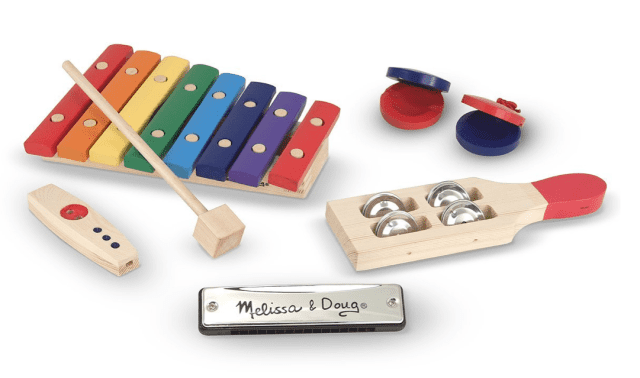 Encourage music with your little one!! Love this adorable little clock! Not only is it super cute and modern, it helps your kids know what time it’s ok to get up in the morning! Lots of parents deal with kids who wake up too early (3am anyone?!) and the Onaroo clock can help in a way a toddler can understand! It glows a soft yellow in the evening and turns green in the morning at the time parent’s specify. Kids take pride in waiting for the green light before they come visit mom and dad with the knowledge of a job well-done. You can set the waking time and brightness, a separate “Nap Timer” allows for afternoon napping without disrupting usual alarm and night-light settings, an alarm clock with snooze function allows older kids to get up “on their own”, and fun “toe” buttons designed for kids invoke funny facial animations on the LCD screen! 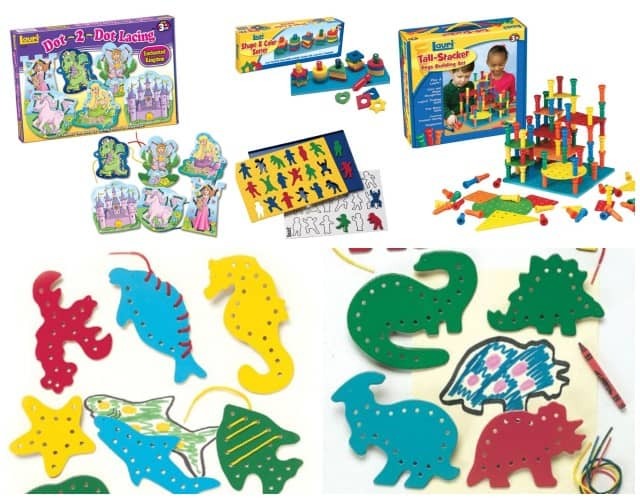 The Lauri brand toys are perfect for little kids looking to learn in a fun way! They make everything from stacker pegs to threading cards and shape/color sorters! I love giving gifts that are toys with purpose and this brand of toys is just that! !